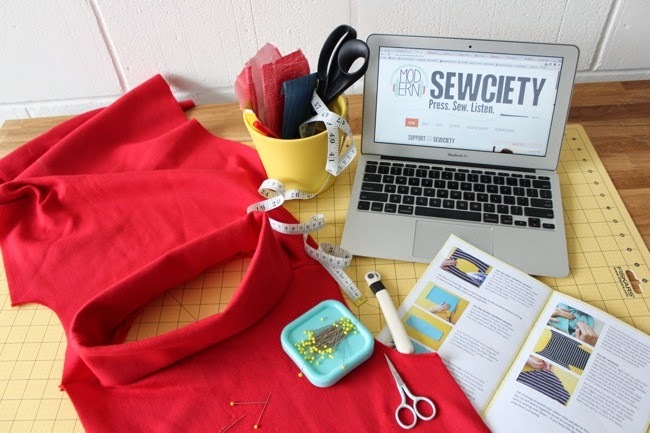 Do you listen to sewing podcasts? 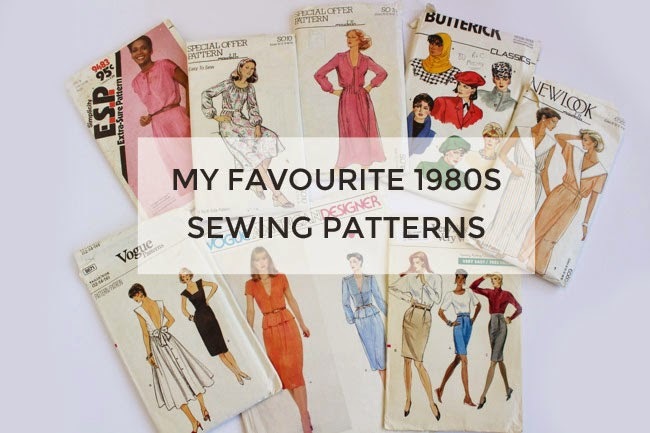 I've started listening to them recently while sewing - whether at home at the weekend or on a marathon session stitching samples for the new pattern (it's at the printers!). 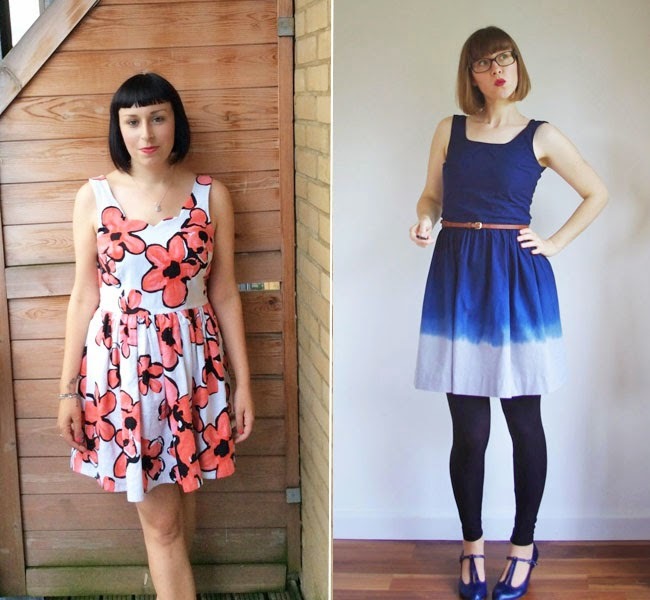 I love sewing podcasts for two reasons. 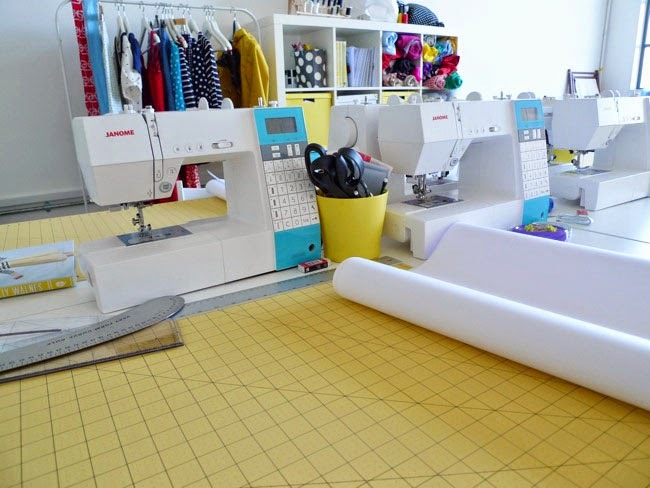 One is that I find that they really help me sit and stay focused on my sewing, and less likely to get distracted by my to do list - or, let's face it, checking social media. 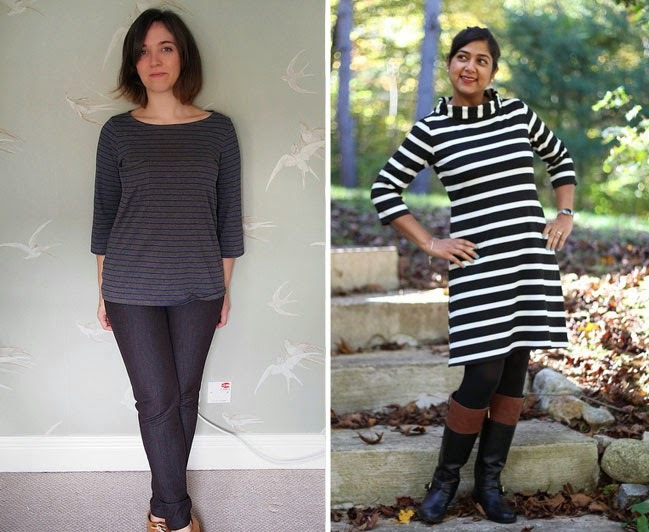 The other reason I enjoy sewing podcasts is that it's like listening to friends having a chat... about sewing! 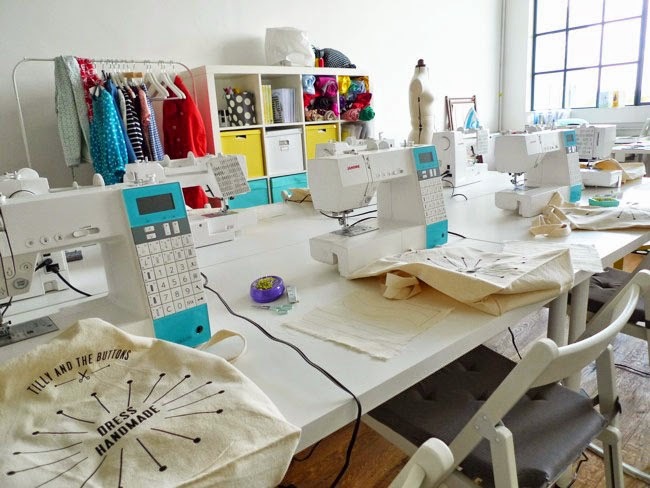 And sewing businesses! Which are my two favourite subjects, obvs. 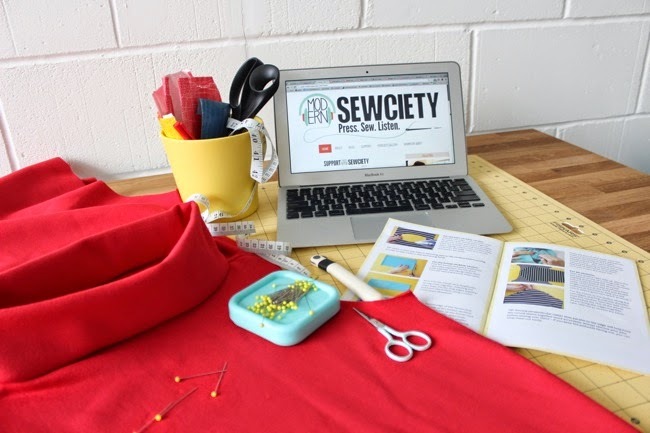 I was chuffed to be interviewed by Stephanie recently for the Modern Sewciety podcast. 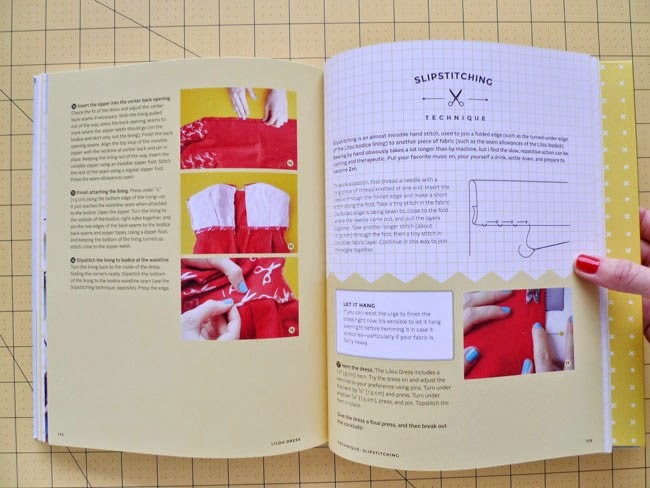 She's such a passionate champion of the sewing community, and just so lovely to chat to. I've been enjoying her podcasts for a while now, so during the interview I kept having to remind myself that I wasn't listening to a pre-recorded episode featuring someone else, it was me she was talking to so I needed to respond to her questions! 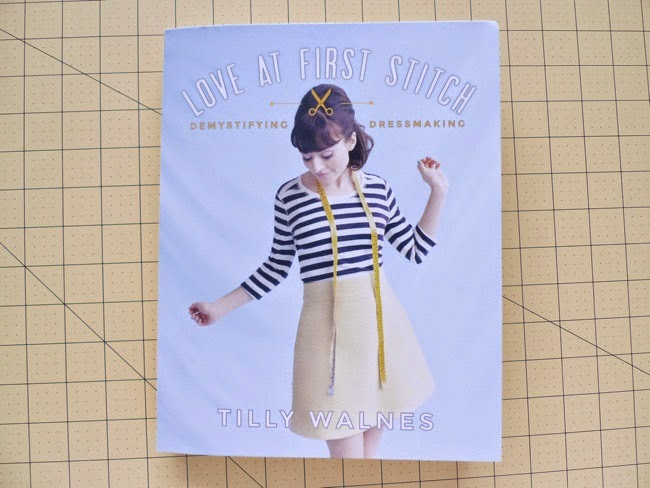 If you want to hear me chat about sewing, how Tilly and the Buttons grew into a business, and what goes into putting together a book - oh and getting seriously confused about dates ("I quit my job a year ago... no - six months ago! But it seems like ages ago..." Err yes, that's because it was actually over a year ago, hahaha!) - then you can listen to it here. And if you want to find out more about the podcast's host, I interviewed Stephanie a few months ago, so go read more about her. 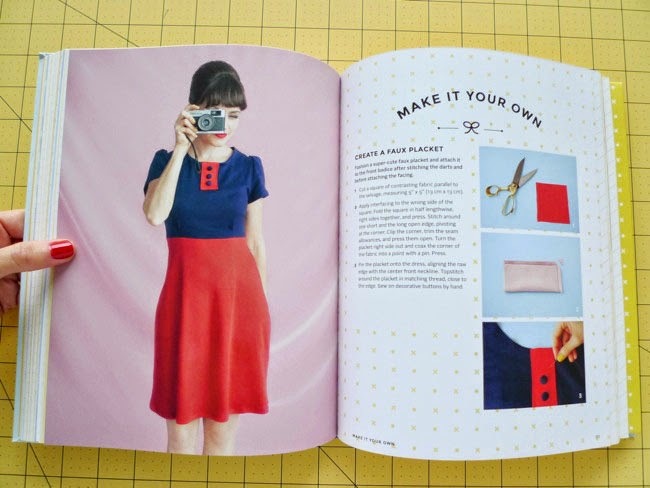 Ooh you've been sewing up some treats for our drooling pleasure recently! 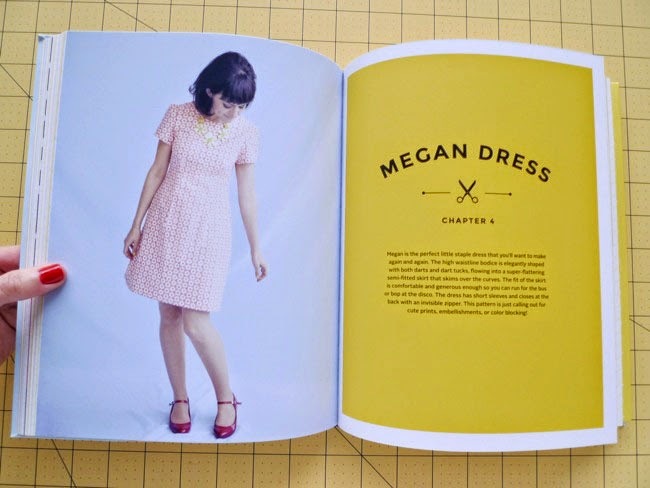 First up, some irresistibly cheery Megan dresses (pattern in Love at First Stitch). So bright and colourful! Janet made hers in VELVET - can I just have this, please? 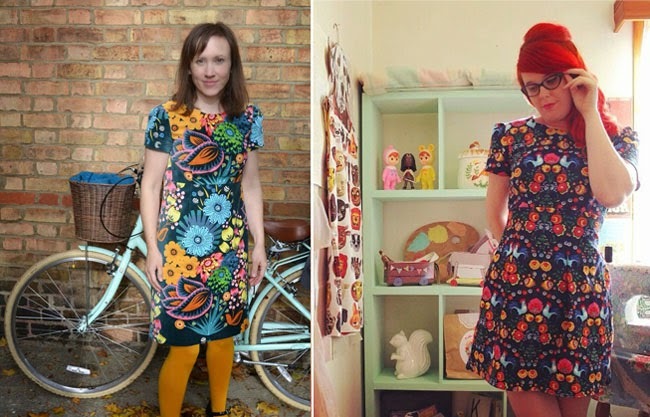 And the one on the right made by Freckles & Ginger set many a heart aflutter on Instagram! 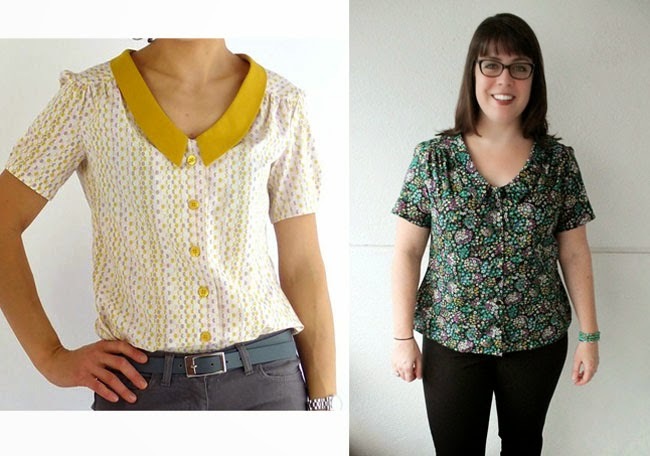 I love how these Mimi blouses (pattern also in my book), made by Catrin and Meg, look pretty yet relaxed at the same time - the kind of top you can throw on with jeans and still feel like you've made an effort. 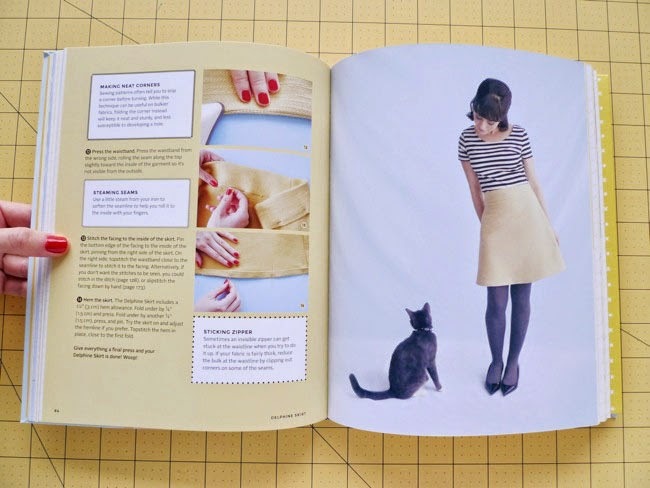 Some of you will know the super talented knitting designer Andi from blog Untangling Knots. 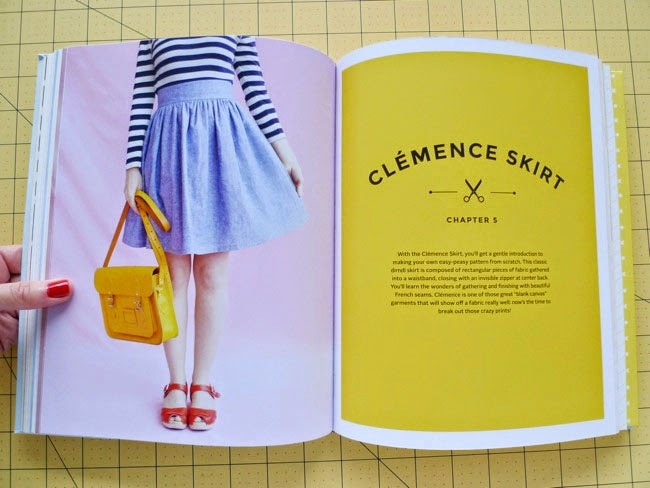 How cute is this Miette skirt that she made? 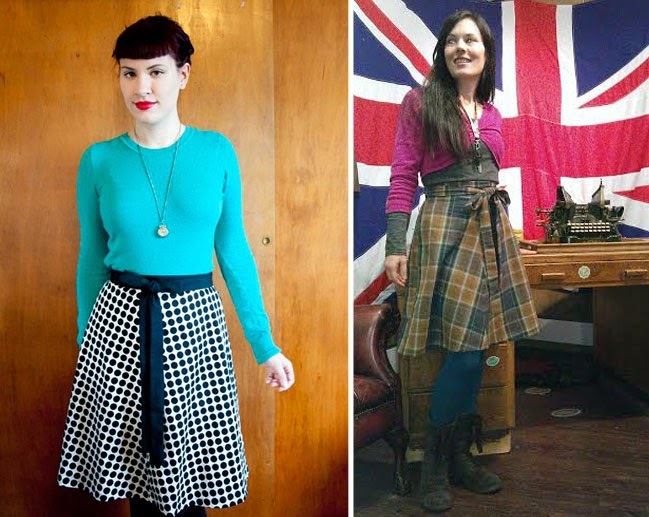 The other Miette shown here was made by Nicola - the tartan works so well with the flared design. I'm a big fan of Katie's relaxed style, and the casual design of the Coco top suits her perfectly. And when I saw Deepika's funnel neck Coco dress, I literally screamed out loud - adorbs!! Just perfect for Autumn. 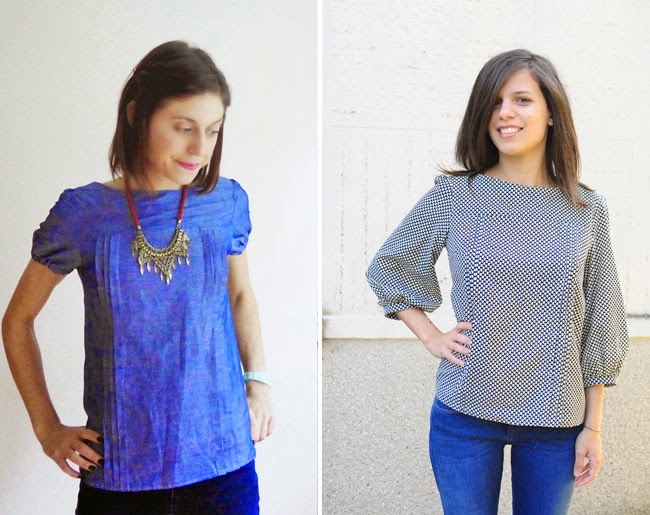 Lisa decided to shorten the sleeves on her chambray Mathilde blouse - I really like the result. Martina stuck with the original design and looks effortlessly stylish. 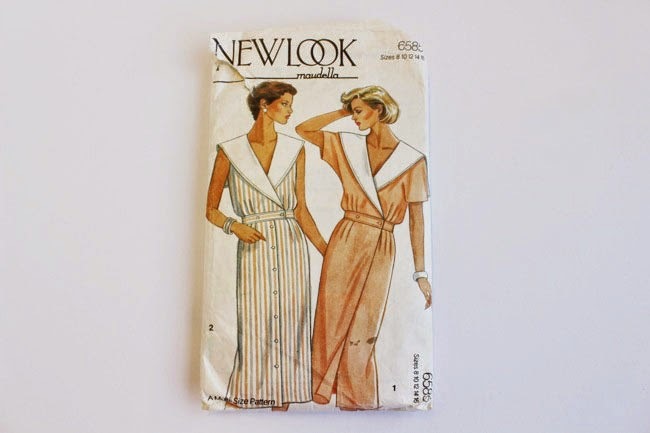 I'm including two things made by Lynne because her fabric choices are so inspired. She made the Clemence skirt using African wax print (the instructions for the skirt are in my book) - the material gives the skirt a lovely structured shape. 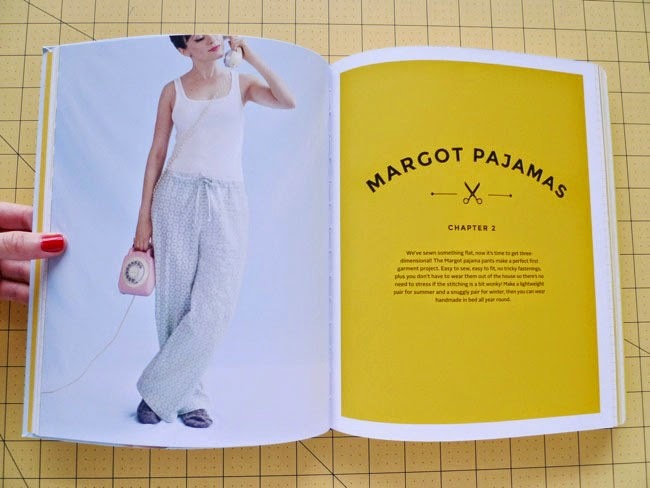 And the Margot pyjamas (pattern also in my book) are made from jersey - they look so comfy, and I'm totally copying this idea! Last but not least, I couldn't resist including a couple more Megan dresses - because these are just gorgeous. Grace made hers in this beautiful vintage cotton floral print - I love the way she almost but not quite blends into the wallpaper! 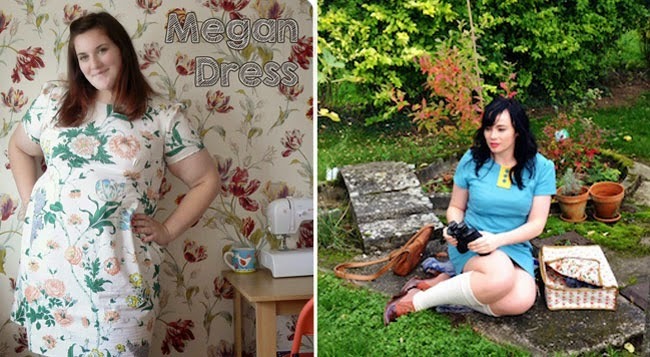 And Dorien made her ridiculously cute Megan dress for a Moonrise Kingdom-inspired shoot - it's an entry in a movie-based sewing contest, go check out her gorgeous photos and the other entries! As always this is just a fraction of things you've been making with Tilly and the Buttons patterns, so do go check out some more in the Maker Galleries on Pinterest. 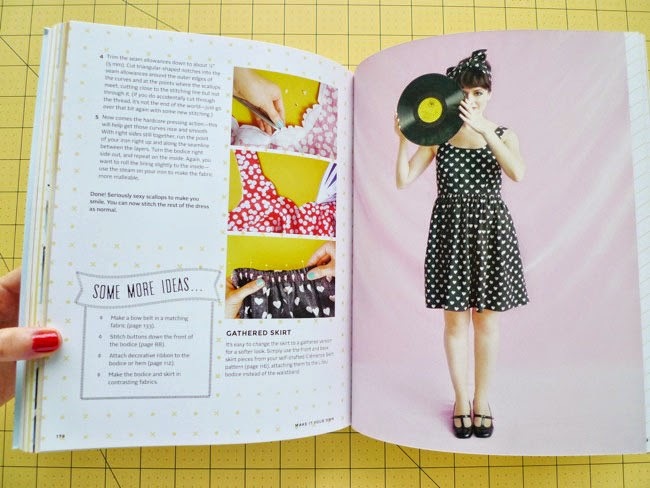 If you've made something with one of the patterns that you want to see up there, tweet me your best photo or send us a link through this page. Can't wait to see! 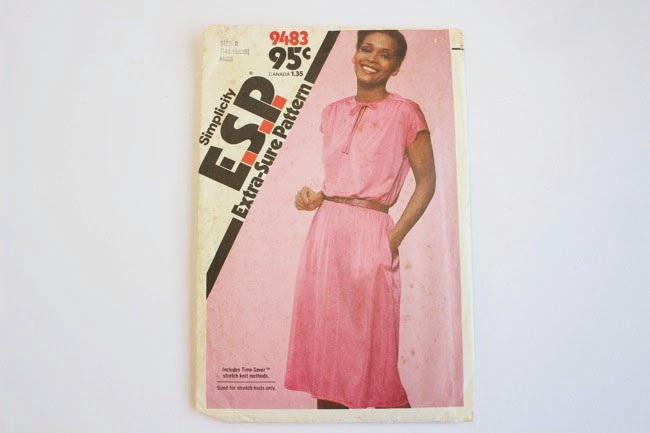 It seems like only yesterday, but 1980s is vintage. 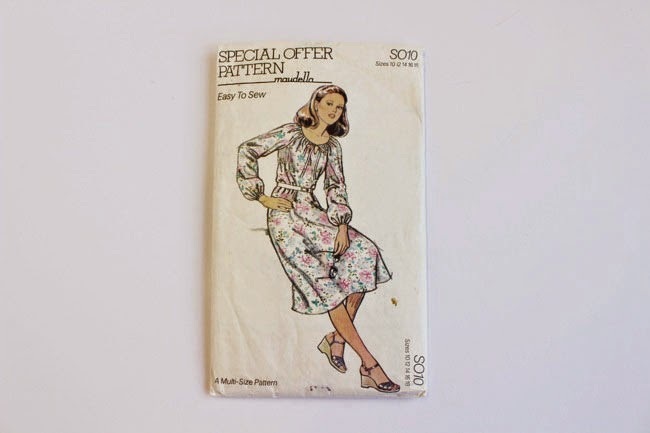 And these patterns do look old! Which one is your favourite, please? Exciting times, people. 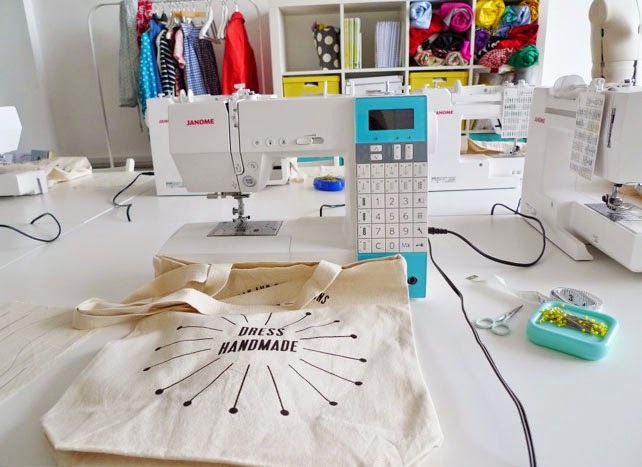 Not only are more and more people getting into sewing and making, but more and more small businesses are popping up on the scene to cater to our crafty needs. It’s wonderful to see women following their dreams of starting a company – and bringing us new options and fresh approaches for reviving traditional crafts. 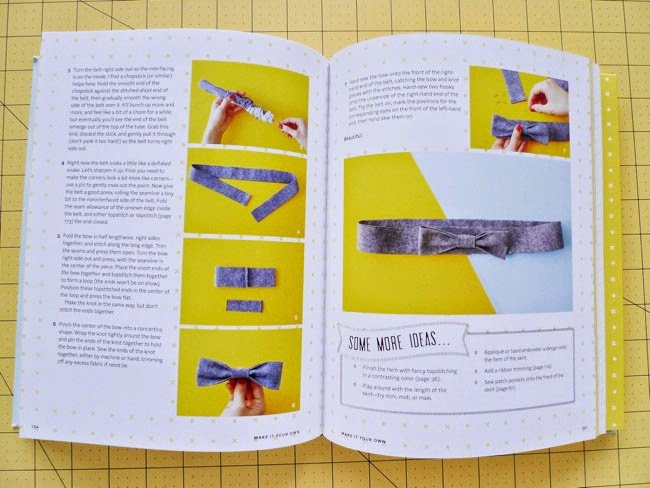 Yay for crafty biz! 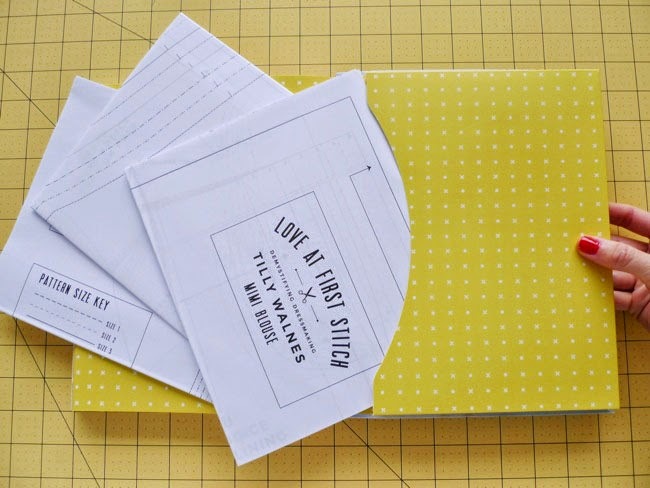 Before you invest all your savings into putting a deposit down on that shop space or manufacturing your product line – and definitely before you quit your day job – make sure you’ve tested out your idea to see if people will actually buy it. I highly recommend the book The Lean Startup by Eric Ries which talks about how to apply the principles of lean manufacturing to business. The thrust of it is that, rather than wasting time and money developing something that nobody wants, put out a beta version of it, get customer feedback, and learn from that to improve your product or service. 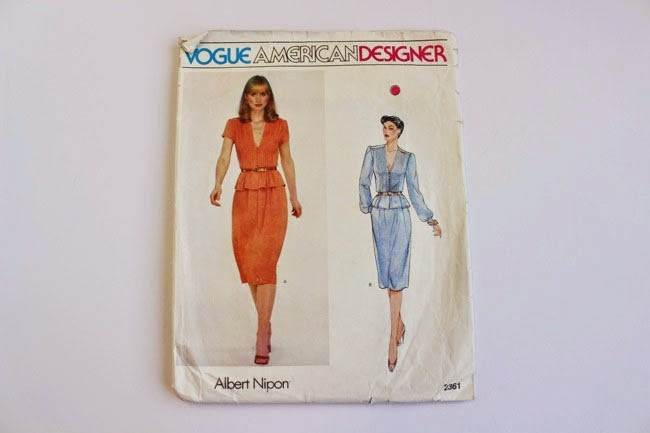 For example, if you want to design sewing patterns, start by releasing PDF versions and monitor your sales and get feedback on them before you invest in printing. 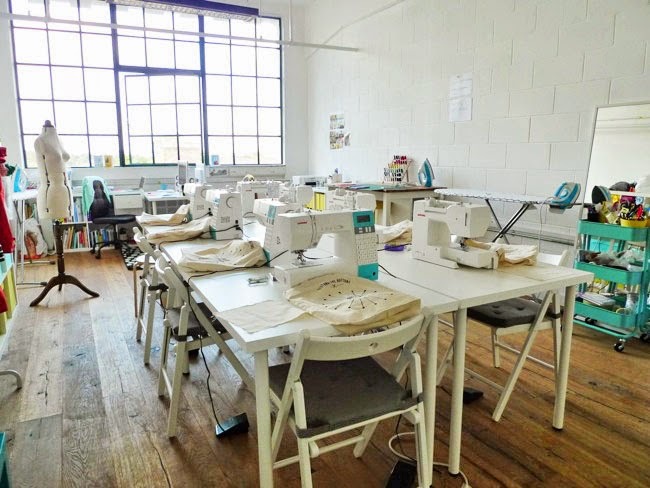 Or if you want to open a sewing school, how about starting by running a time-limited pop-up or monthly events at an existing venue first? You’ll learn so much from putting your stuff out there into the world, and testing the waters like this will allow you to tweak your idea before you’ve invested too much into it. Your work isn’t going to appeal to everyone. And that’s okay. In fact, it’s a good thing! If you try to create a product or service that everyone likes, you’ll be spreading your efforts too thin, creating something a bit bland and probably won’t end up making much of an impact with anyone. So be specific about who you’re trying to appeal to (their age, gender, lifestyle, hobbies, dress sense, favourite magazines, pets…), and pitch everything you do directly at them. You don’t have the marketing resources of Coca Cola. 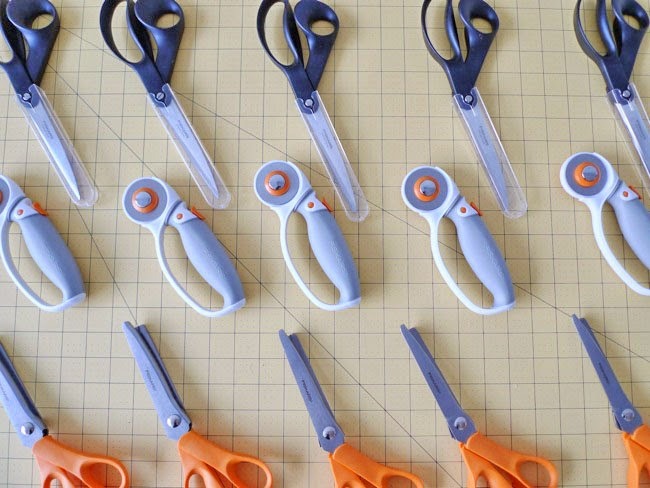 What you want as a small business is to be niche – niche enough so that the clearly defined group of people who you want to love your stuff REALLY love your stuff. And buy it. And tell all their friends about it. Get out your spreadsheets – creating a detailed, honest, realistic budget is reeeeally important. 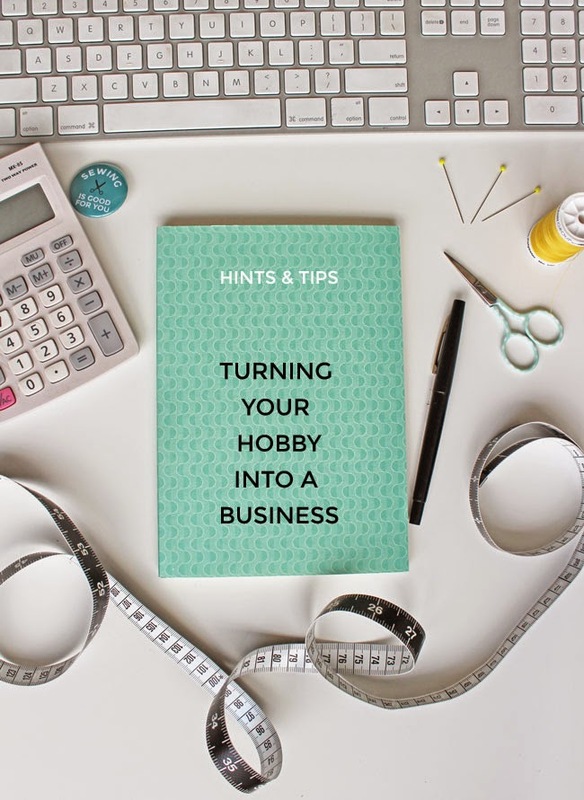 If you want your project to be a real, sustainable business some day and not just stay a hobby on the side of your day job forever (hello impending burnout), then before you set the pricing you really need to work out the cost of producing your product or running your service. I don’t just mean what it costs you right now, which may be very little if you’re working from home, earning your main salary elsewhere, and using equipment that you already have to hand. I mean what it will cost you when you’re running the business the way you would like it to be in the future – when you’ve outgrown the kitchen table, have created staff positions, are using professional services and producing and selling on the scale you would like. Research or make an educated guess as to how much it’ll cost in terms of supplies, manufacturing, rent, overheads, insurance, packaging, staff salaries, depreciation of equipment (at some point you’ll need a new laptop or sewing machine), accountants' fees, stationery, software subscriptions… etc etc. And – assuming you’re not independently wealthy – don’t forget to pay yourself! Once you've got the actual costs, you'll need to add some kind of profit to your price if you want to keep the business going and growing. 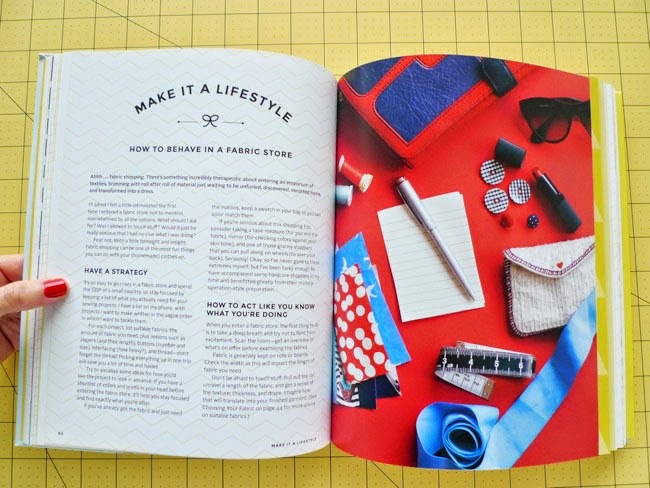 If you'd like to see your stuff stocked in shops one day, you’ll also need to factor in retailer mark ups, which can range from double to triple your wholesale price. If you’re in the UK, at some point you’ll (hopefully) hit the threshold at which you have to include VAT in your pricing (the VAT threshold for 2014/15 is £81,000 turnover), so even if you’re not yet registered for VAT you’ll need to be prepared to pay this out of your sales to the tax man. (I don't know how sales tax works in other countries, please share in the comments if you do.) 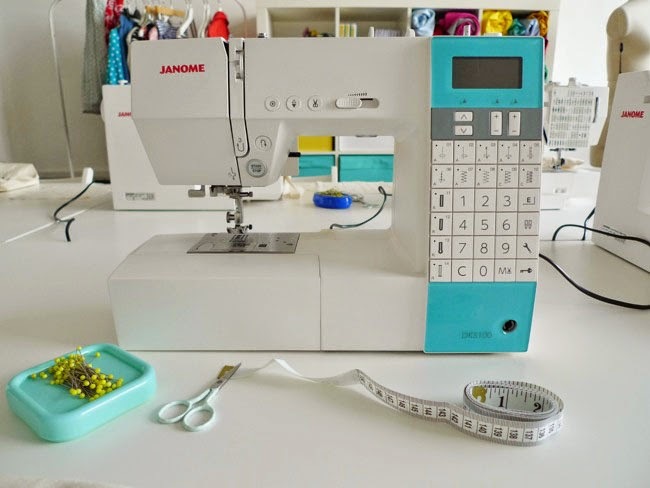 Update: From 1st January 2015, anyone selling a digital service (such as a PDF sewing pattern) to a non-business customer in an EU country will have to register for VAT in each country (or apply for VAT MOSS if you're in the UK) and charge VAT at the rate of the customer's country, not the seller's country. Read more on this. Work all these things out now, before you announce your prices to the world – it’ll save you a nasty shock later! Having a vision for what you want your business to be is wonderful – but don’t let the pursuit of perfection hold you back. It’s probably not going to be exactly what you want it to be at the beginning. 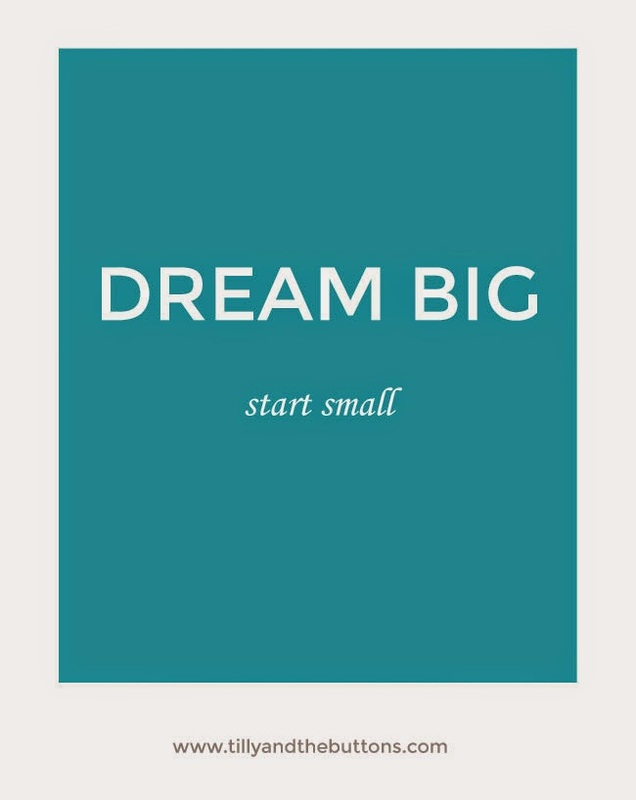 For the first few months (maybe even years), you’ll probably be running your business in your pyjamas from the kitchen table, with very little money, working all hours, doing absolutely everything yourself, and dreaming of the days when you’ll have more to invest into your product or service. It’s easy to sit around talking about what other people are doing – whether you love it or hate it. Where the challenge lies is putting yourself out there and doing something yourself. It’s hard work. It’s scary. You’ll be making yourself vulnerable to mistakes, criticism and burnout. But all that pales in comparison to the exhilarating sense of fulfilment you will get from taking control of your life and creating work to share with the world. Cliché alert – at some point we’re all going to die, and while I’m alive I want to make stuff and share stuff and build something positive that I can be proud of. Do your thing while you can. Wishing you lots of happiness and fulfilment in your ventures! I've been daydreaming about making this skirt for months now, and finally made the time to stitch it up this week. 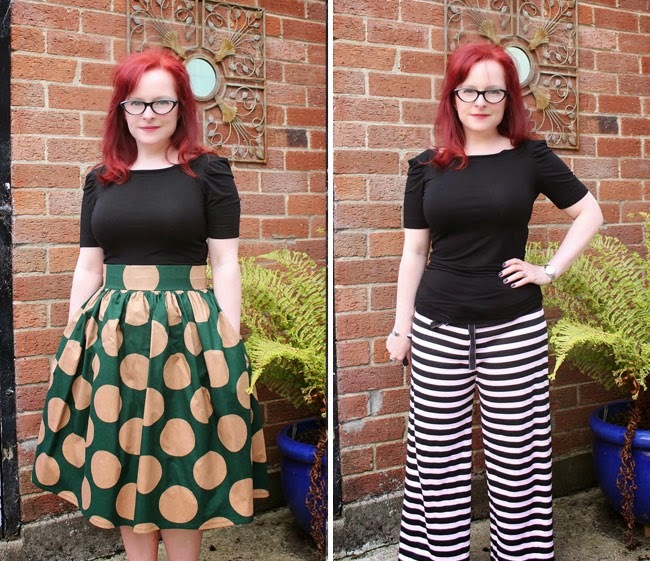 My other four Delphine skirts (pattern in my book) get worn all the time, and I wanted to add a red one to the collection. There's something about red that instantly makes an outfit feel more special, I find - even if it's a simple skirt thrown on with a stripy top, AKA my signature style! A-line mini skirts are on trend (en trende, if you will) right now, apparently - not that I pay much attention to trends, but there is something so lovely about wearing a little skirt over wooly tights on chilly Autumnal days, don't you think? The fabric is gabardine, one of my favourite materials to sew with, and perfect for this skirt as it holds the structured shape really nicely. Although it does tend to get a little crumpled and creased! I covered some buttons in the same fabric and hand stitched them onto the front. 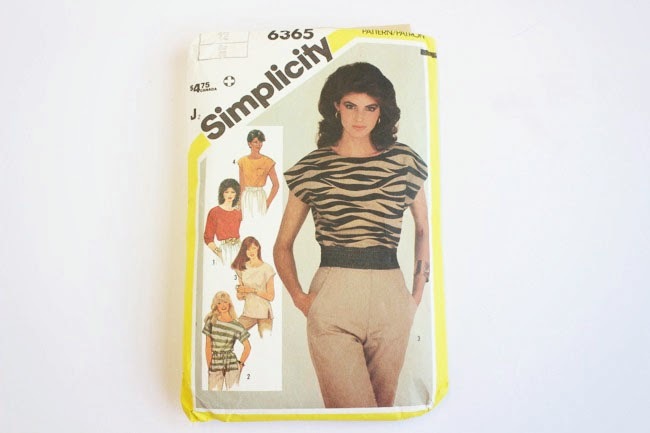 I lined the skirt with this polka dot lining in my stash - here's a tutorial on lining the skirt that I wrote a few months back if you want to do likewise. 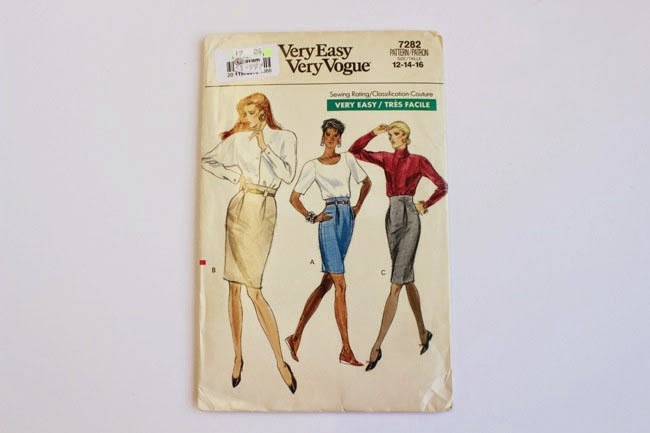 I'm teaching a workshop on how to make this skirt on Saturday 25 October at my studio - I'm really looking forward to seeing what fabrics everyone chooses! 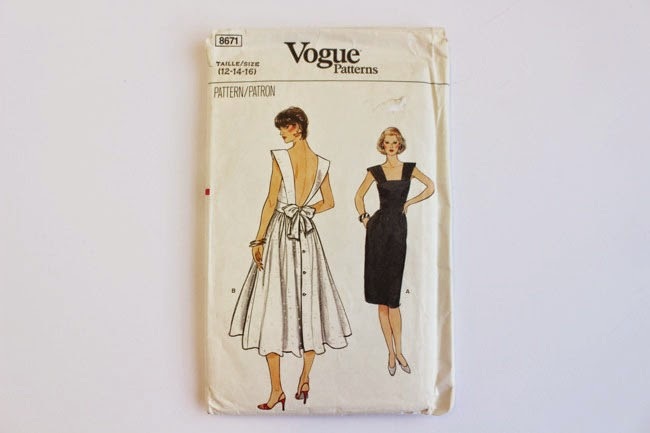 What have you been sewing recently, please? 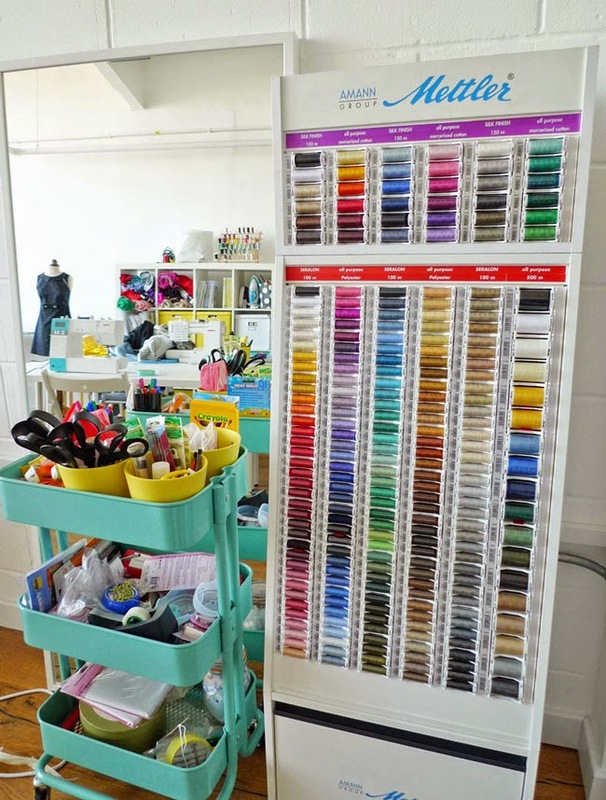 Something else that makes me happy is having a MASSIVE THREAD STAND in the studio. 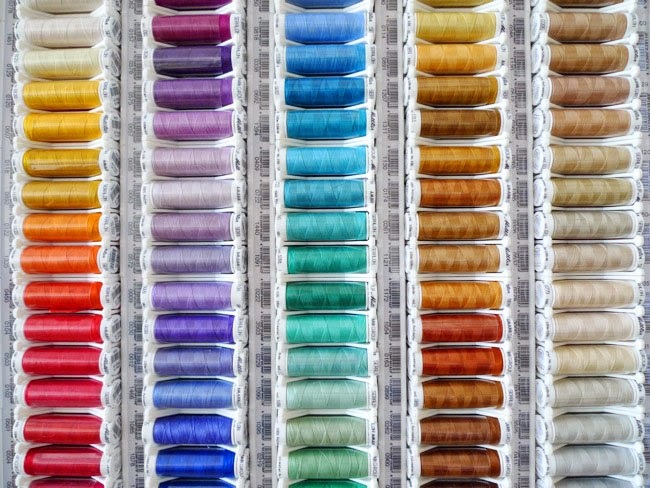 The lovely people at Mettler brought this round this week, so in future workshop participants can choose a shade of thread for their project right here. Duncan from Mettler was quite excited that the studio is north-facing - apparently it means the light is perfect for colour matching. Not something I'd really thought about before! 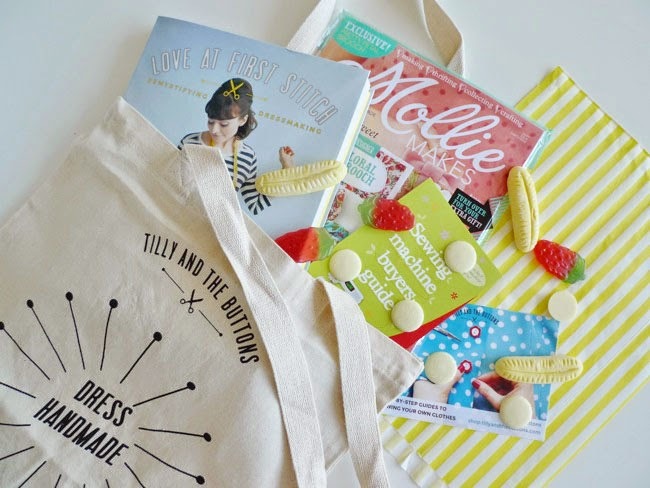 And of course you can't have a sewing workshop without a goodie bag, and you can't have a goodie bag without sweeties. Stitchers need sugar sustenance! Mollie Makes sent over some mags for the bags too, so the participants would have plenty of creative inspiration (to go with their sugar rush) to take away with them. 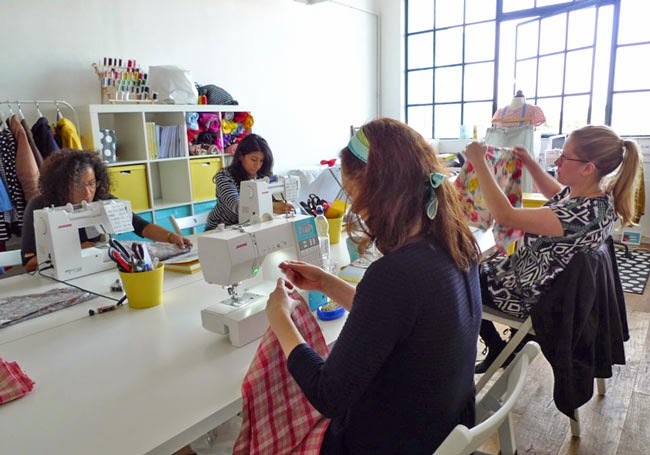 We had a full house on Saturday, with eight lovely ladies for Learn to Sew 1: Make Friends with a Sewing Machine. 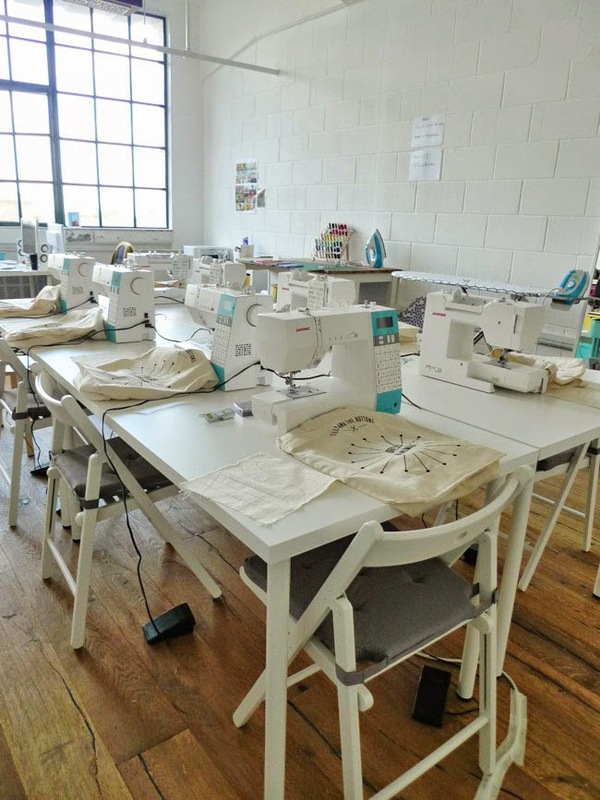 Some of them had never used a sewing machine before in their life, others hadn't sewn in a while and were looking for a refresher. They all got stuck right in and we had such a giggle that some of them have now become friends after the class. 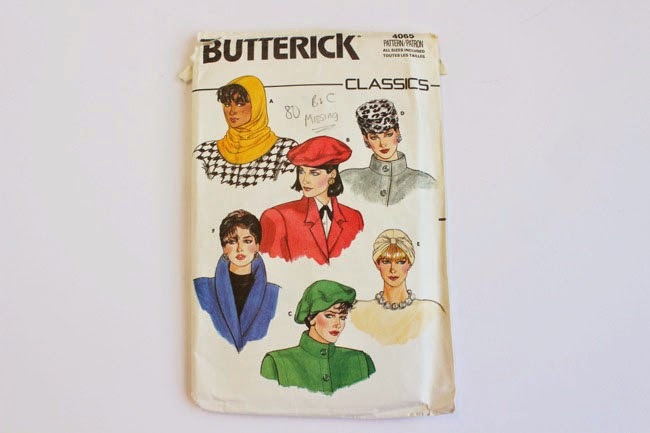 Once they'd got to grips with the (not so) mysterious art of threading a sewing machine, we moved on to sew a Brigitte head scarf and play around with decorative stitches. At one point the room went particularly high pitched when someone discovered the kitty embroidery stitch on the Janome DKS100. (Awwwww!!!) Cue eight kitty themed head scarves! 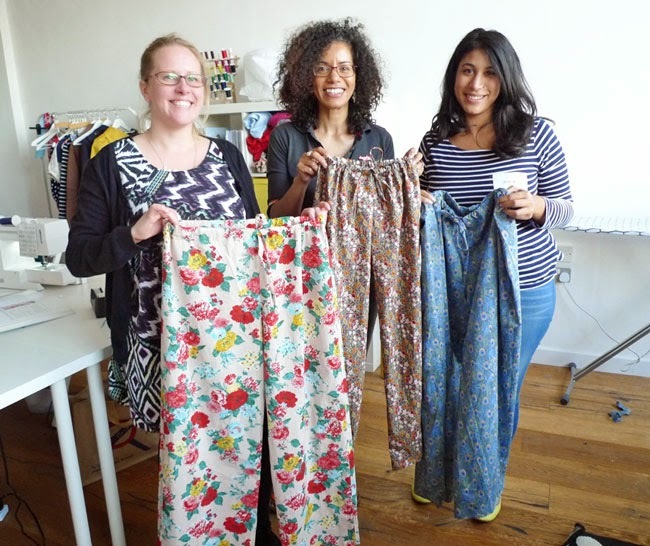 On the Sunday, four stitchers returned for Learn to Sew 2: Make Pyjamas. 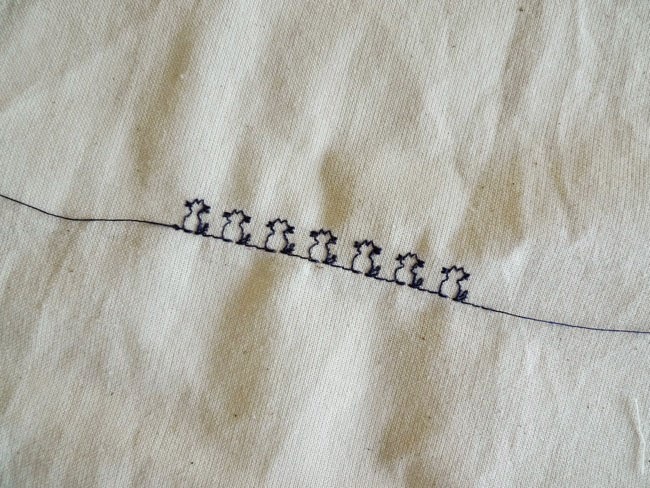 Even though I wasn't sewing myself, I found it the perfect way to spend a Sunday - cutting, stitching, chatting and drinking tea. Look at those grins - these ladies did themselves proud! We toasted their achievements at the end of each day with a glass of prosecco. You've gotta celebrate learning, haven't you?! It was such a wonderful weekend and I'm looking forward to our next workshops already! 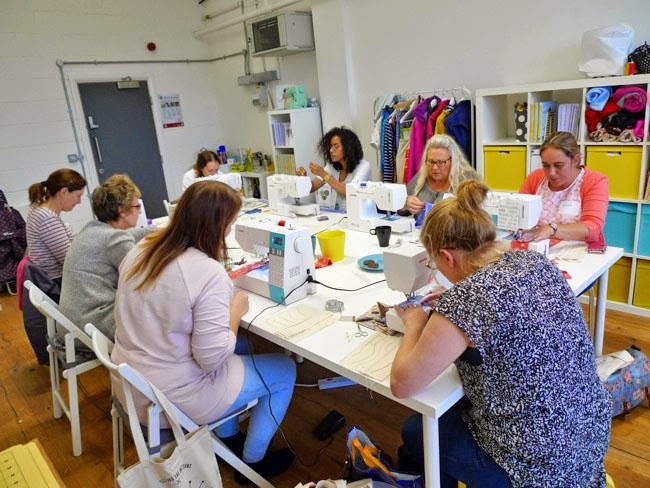 Most of the workshops for the rest of the year are sold out, but we do have places still available on Learn to Sew 1: Make Friends with a Sewing Machine on Wednesday 12 November (6.30 - 9.30pm - for novice stitchers or those looking for a sewing machine refresher) and Learn to Sew 3: Make a Skirt on Saturday 25 October (10am - 5pm - for beginners who can use a sewing machine and want help starting dressmaking). 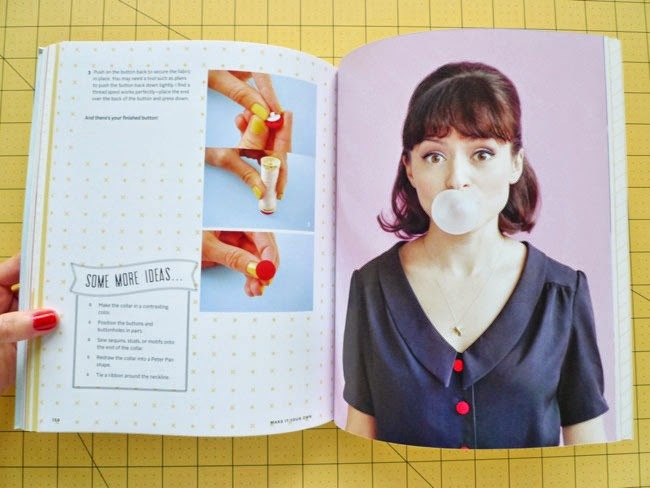 And if you're desperate to do one of our sold out classes, just email hello at tillyandthebuttons.com and we'll put you on the waiting list and let you know as soon as we have new dates.